CHESTER BEATTY PAPYRI AT CSNTM! Below you can find the press release from CSNTM regarding our most recent expedition. The Chester Beatty papyri, published in the 1930s and 1950s, are some of the oldest and most important biblical manuscripts known to exist. Housed at the Chester Beatty Library (CBL) in Dublin, they have attracted countless visitors every year. It is safe to say that the only Greek biblical manuscripts that might receive more visitors are Codex Sinaiticus and Codex Alexandrinus, both on display at the British Library. 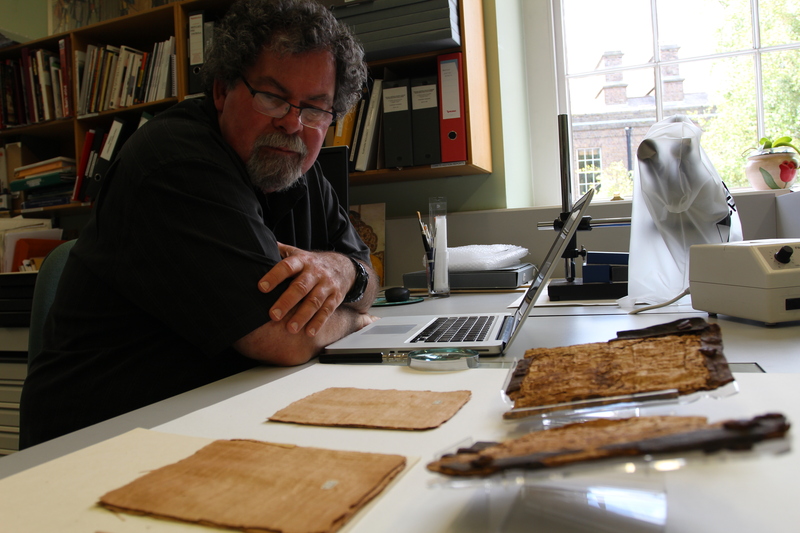 The Center for the Study of New Testament Manuscripts (CSNTM) is pleased to announce that a six-person team, in a four-week expedition during July–August 2013, digitized all the Greek biblical papyri at the Chester Beatty Library. The CBL has granted permission to CSNTM to post the images on their website, which will happen before the end of the year. The New Testament papyri at the CBL include the oldest manuscript of Paul’s letters (dated c. AD 200), the oldest manuscript of Mark’s Gospel and portions of the other Gospels and Acts (third century), and the oldest manuscript of Revelation (third century). One or two of the Old Testament papyri are as old as the second century AD. Using state-of-the-art digital equipment, CSNTM photographed each manuscript against white and black backgrounds. The result was stunning. Each image is over 120 megabytes. The photographs reveal some text that has not been seen before. Besides the papyri, CSNTM also digitized all of the Greek New Testament manuscripts at the CBL as well as several others, including some early apocryphal texts. The total number of images came to more than 5100. CSNTM is grateful to the CBL for the privilege of digitizing these priceless treasures. Their staff were extremely competent and a joy to work with. Kudos to Dr. Fionnuala Croke, Director of CBL, for such a superb staff! This kind of collaboration is needed both for the preservation of biblical manuscripts and their accessibility by scholars. That is so cool…thanks for the info! How do you pronounce Beatty? What a wonderful update to the state-of-the-art digital record. Congratulations. I can’t wait to see it! How do you pronounce “Beatty”? It’s pronounced Bee-Tea (like the words bee and tea).I had thought it was pronounced Bay-Tea, but was corrected by the staff at the CBL. Thanks. I wondered about that for years. Yes, if you’re thinking of Warren Beatty. But not if you’re thinking of Sir Arthur Chester Beatty. Are these papyri from the Alexandrian tradition? 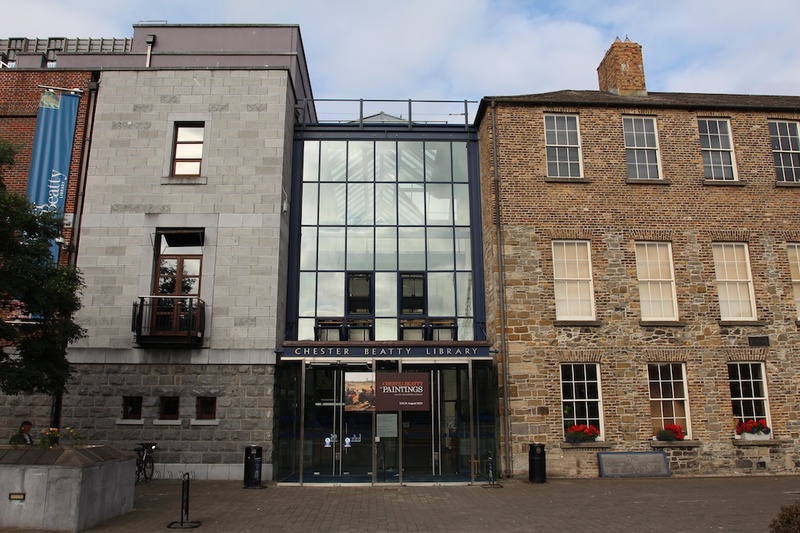 I loved visiting the Chester Beatty Library when I was living in Dublin for a few years! The Book of Kells exhibit at Trinity College is another must-see. I’m looking forward to seeing the result of this work. Very interesting, I hope someday some scholars will translate all those NT papyri in English (especially P45 and P46 [both Chester Beatty Papyri]), so they can be examined by lay people with a limited knowledge of Greek. I know a little Greek, but by far not enough to seriously translate some texts. Do you think it is possible that P46 preserves the original location of the doxology traditionally located at Romans 16:25-27? “. . . according to my gospel . . . which was kept secret for long ages” (Romans 16:25). “to the only wise God . . . be glory forever and ever” (Romans 16:27). I always thought that the doxology originally belonged at the end of chapter 15 on the basis of these verbal parallels. If the doxology is placed at the end of chapter 14 or chapter 16, it has nothing to do with the immediately preceding context, which would be unusual for Paul.